MASHAV and CINADCO, invite professionals from the agriculture and rural development sector, from countries which suffer from desertification processes, to participate in this International Training Program. Desertification is the degradation of dryland ecosystems, caused by certain factors such as man’s agricultural activities and climate change that transform fertile land to non-fertile land due to overexploitation and unsustainable practices. According to estimates by the United Nations Environment Programme (UNEP), one quarter of the earth's land is threatened by desertification, and the livelihoods of over 1 billion people in more than 100 countries are also jeopardized as farming and grazing land becomes less productive. Overgrazing is one of the factors for desertification. When grazing activity is not properly controlled, overgrazing removes the vegetation that prevents soil erosion and it may subsequently take years to restore the soil’s fertility rate. Israel, comprised almost entirely of drylands with the ever-present threats of soil degradation and desertification, has taken a number of countermeasures during the past several years to address and combat the desertification processes. Most of these measures have been within the framework of national and regional planning, environmental, and development strategies. Natural control of free-ranging livestock herds has been combined with afforestation in vulnerable regions in active erosion control programs to regulate nomadic grazing, and to promote water-saving, salt tolerant crops together with advanced agricultural techniques. Considerable tracts of Israeli forests have been planted on lands that were degraded, frequently as a result of historic overgrazing or deforestation. These forest plots contribute directly to soil conservation, but are also used as a source for controlled grazing, in coordination with pastoralists’ seasonal grazing schedules, thereby reducing grazing pressures in the region. Reduced grazing and the shading effect of the trees promote the rehabilitation of indigenous vegetation in many places, which further contributes to soil conservation. 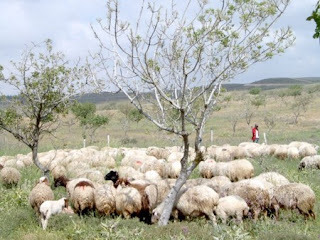 The training program aims to share Israel’s experience and research in grazing management and soil conservation, taking into consideration the adaptability of methods and technologies (e.g. water harvesting, minimal tillage, no-tillage), to meet local conditions in each participant's country. After completion of this training it is envisaged that the participant will implement the planning, environmental, and development strategies or policies related to grazing control and soil conservation. The training program will include professional lectures and visits on the following subjects: Grazing in Drylands, Monitoring Natural Pastures, Natural Pastures and Forest Management, Grazing Statutes and Policy Implementations, Soil Conservation measures in arid lands, enhanced water use efficiency in arid and semi-arid regions, Soil and land restoration efforts as well as afforestation projects. The participants will also have the opportunity to participate in the 4th International Conference on Drylands, Deserts and Desertification which will take place at the Blaustein Institutes for Desert Research, Ben Gurion University of the Negev, Sde Boqer Campus, 12-15, November 2012. Visit www.desertification.bgu.ac.il For more information. The training is geared towards professionals from developing countries which suffer from desertification and land degradation processes involved in agriculture and rural development. Candidates should hold an academic degree in related disciplines, and at least two years of professional work experience in related fields. Priority will be given to professional staff involved in national / regional projects, with and/or under the aegis of governmental institutions, national and/or international organizations, research institutes, universities, NGOs, etc. A full command of English is required.